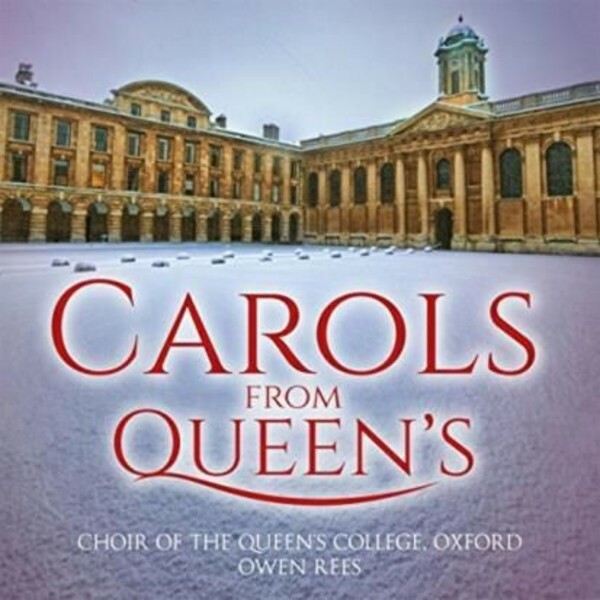 ‘Carols from Queen’s’ is a true celebration of the Choir of the Queen’s College, Oxford, presenting popular holiday favourites that have deep associations with the renowned institution, including The Boar’s Head Carol, A spotless Rose, In the bleak midwinter and The Three Kings. The Choir of the Queen’s College, Oxford is one of the world’s most renowned choral institutions. 'Carols from Queen’s' presents the choir in all its luxuriant glory. This blockbuster holiday album celebrates the Choir’s illustrious history, and offers some of the most beloved carols from throughout the ages. Several of the composers and arrangers of the popular carols featured on this album had associations with The Queen’s College. The Boar’s Head Carol is the work most strongly associated with the heritage of the College. It originated in the 14th century at Queen’s and has been sung every year since at the Christmas time Boar’s Head Feast in the College Hall. Kenneth Leighton (Lully, lulla, thou little tiny child) and Herbert Howells (A spotless Rose), two prominent 20th-century British composers of sacred choral music, both studied at The Queen’s College. Harold Darke (In the bleak midwinter) and Ivor Atkins (The Three Kings) were both members of Queen’s. Atkins’s ever-popular arrangement of The Three Kings appeared in the much-used anthology 'Carols for Choirs I', compiled in part by Reginald Jacques, a student at Queen’s who become Organist of the College from 1926 to 1936, and a Fellow. Several best-loved carols from this volume are featured on this album. Rounding out 'Carols from Queen’s' are such popular favourites as O Holy Night, Coventry carol, O Come all Ye Faithful, and many more.